This year's event will be Saturday, March 30! The Paul Frazer Memorial not only supports CKRH but also kicks off the horse show season at the Kentucky Horse Park. Funds raised each year help us provide nearly 14,000 hours of direct client services. 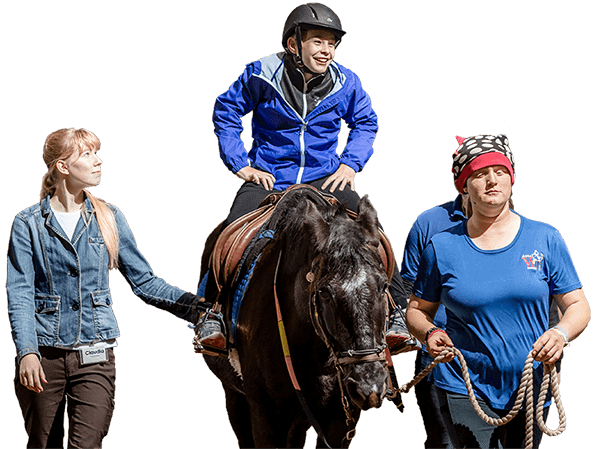 Our therapeutic riding and horsemanship programs serve more than 1,000 children and adults challenged by physical, cognitive, emotional or social special needs. High point ribbons and monetary prizes will be provided for selected divisions and classes by The Jockey Club’s Thoroughbred Incentive Program. The Paul Frazer Memorial Combined Test and Dressage Competition is dedicated to a former CKRH Board Member who worked to remove physical barriers facing children with special needs. Paul designed the first handicapable bus in the Fayette County Public Schools, and his design later served as a model for all handicapable buses in Kentucky. As director of maintenance for Fayette County schools, Paul oversaw the construction of ramps, installation of elevators and other structural remodeling to ensure access for every student. Join us as a participant! Join us as a sponsor and promote your business while supporting ours! Become a sponsor today by paying online! The prices listed above include the 6% mandatory state sales tax.